Turn raw data into raw power. There’s limited value to data when it’s in isolation, and the natural siloes that occur in enterprise software makes this isolation almost inevitable. 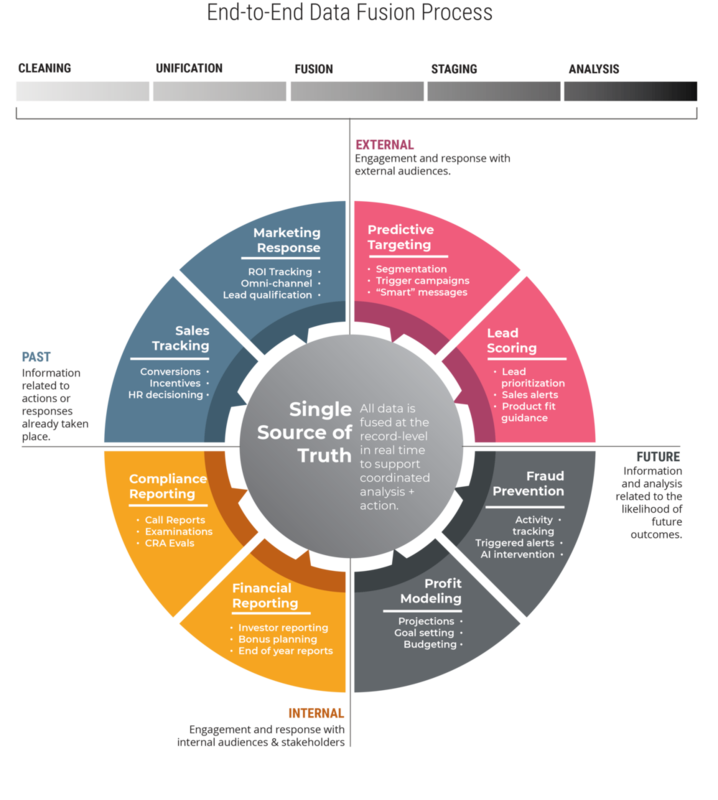 EVLVE revolutionizes the value that organizations can get from their data, by integrating and fusing all of an organization’s data within an accessible Single Source of Truth. With all of a bank’s data connected and enriched with external data, it’s possible to generate real-time insights, automate omni-channel responses, even support AI programs. With data fusion, getting the big picture isn’t such a big deal.